The Kiss is perhaps Gustav Klimt’s most famous work. 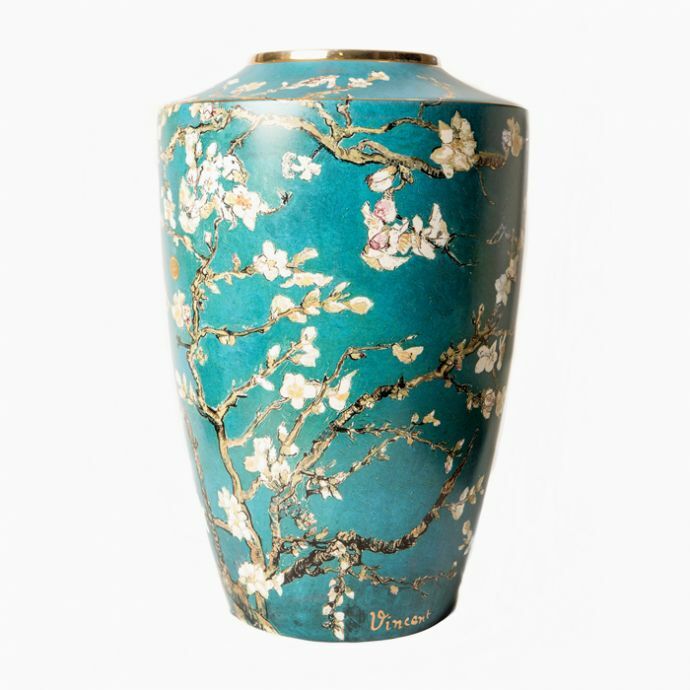 The iconic painting has been reproduced with 24 karat gold details on a vase by Goebel Germany – ideal for vintage décor. 'Qrator' was launched by Pooja Poddar, a business graduate from Calcutta, India. With an inherent passion for art and antiques, Pooja established a concept home store and gallery unlike any. Showcasing traditional heritage brands such as Royal Crown Derby and Wedgwood alongside contemporary art works such as Maleras sculptures from Sweden, Qrator houses more than 20 international artists, striving to bring luxurious style and quality ornamentation to homes.